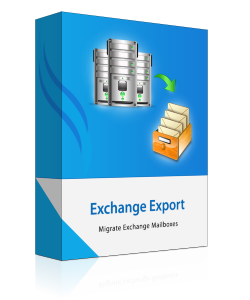 Supports export of multiple Exchange emails to PST file format. Converts all the items like emails, contacts, etc. residing in mailboxes. Administrative Permissions required for mailboxes that have to be exported. Active Directory configuration is automatically detected, scanned and loaded. No limitation imposed on the number of Exchange mailboxes to be exported. 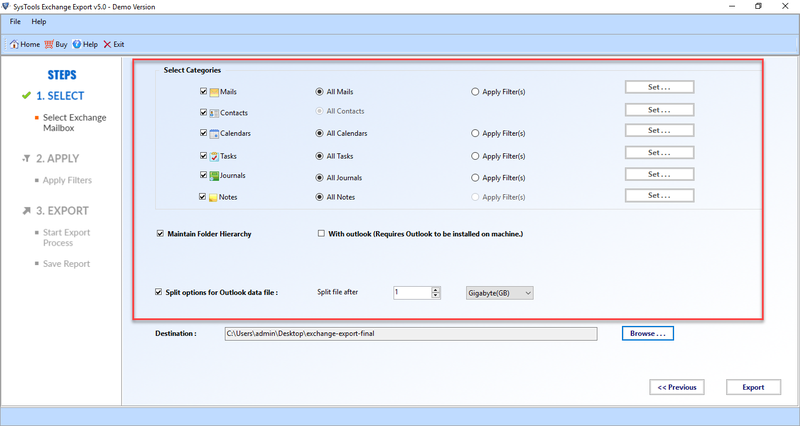 Live Exchange server environment necessary to migrate exchange to outlook data. MS Outlook installation necessary for exporting the Exchange 2016 Mailboxes to PST. The software export exchange emails to PST along with associated properties like emails, contacts, calendars, etc. Multiple mailboxes can be migrated together without any data loss while conversion. Once the software is launched, the Active Directory is automatically scanned and then loaded. A preview of all the mailboxes residing in the Exchange server is showed. This helps in selecting the mailboxes that need to be converted to Outlook PST format. For viewing the details of the selected mailbox, live Exchange server environment is necessary. The details of the number of items residing in a particular mailbox like emails, contacts, calendars, etc. can be seen by right click on selecting the mailbox. Once the Active Directory is loaded, all the mailboxes can be seen in the software panel. You can select and export exchange emails to PST format. This enables the user to migrate exchange to outlook PST format. In order to export the mails lying in a particular date range, you can select email filters. The email filters will only export the mails that lie in the specified date range. 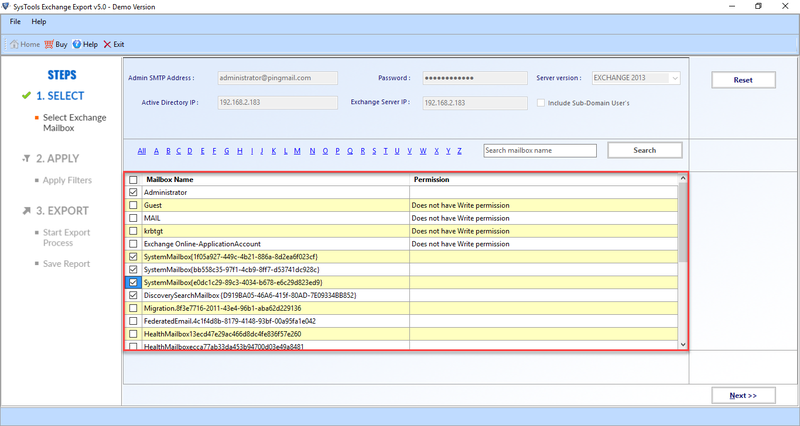 This enables the user to avoid exporting unnecessary mails from Exchange mailboxes. In order to create more space in your Exchange mailbox, the software gives an option to permanently delete the emails residing in the mailbox. 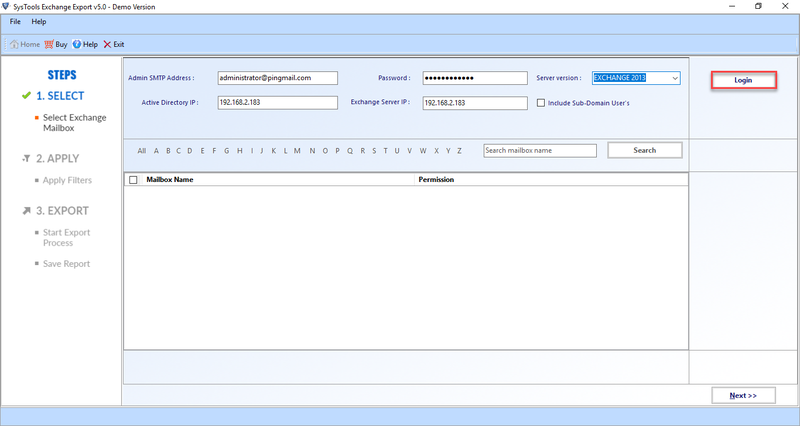 The software will convert Exchange mailbox to PST file and will delete all the emails from the Exchange mailbox. The software also gives the facility to export the emails residing in the dumpster folder of Exchange mailbox. The emails which are currently present in the dumpster folder can be exported by selecting the option and migrate Exchange to Outlook. Exchange Export Demo Version Migrate 25 items per folders to Outlook PST File. Microsoft Outlook should be installed and should be configured properly for any valid or dummy profile/account(Not Configured for Exchange). To export data directly from a live Exchange server – Exchange 2003, 2007, 2010, 2013 & 2016 Source Versions are supported. Exchange Mailboxes should have complete administrative rights for Exchange (2000-2003,2007-2010) Versions. MS Outlook – Outlook 2000, 2003, 2007, 2010 (32/64 bit), 2013 (32/64 bit), 2016 (32/64 bit). What is the maximum number of mailboxes that can be exported with this tool? The software can convert unlimited amount of Exchange mailboxes to Outlook PST format. The software has also been tested with migration of 750 mailboxes altogether. Is it necessary to have a Live Exchange server environment? Yes, it is mandatory to have Live Exchange server environment in order to initiate the export exchange emails to PST file. How to use software for quick export of exchange mailbox? Extract all emails like emails, contacts, calendars, tasks, Journals etc. Can I export bulk exchange mailboxes to Outlook PST with the help of software? Yes, You can can export any number of exchange mailbox to Outlook PST with any error or data loss. 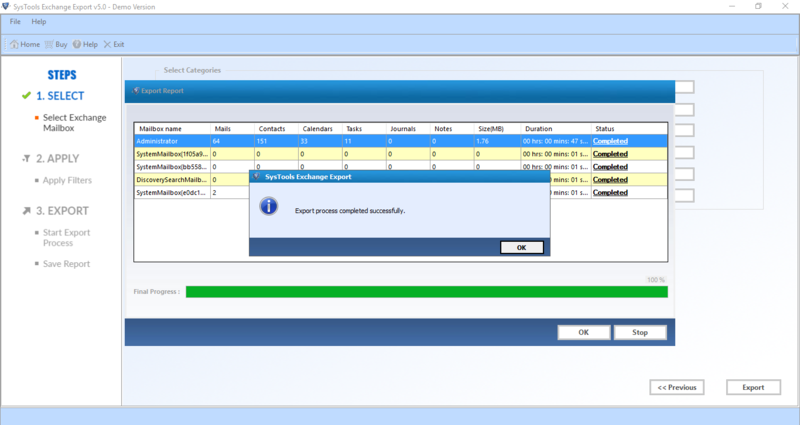 Does Exchange export tool supports exchange 2007 for migration? Yes, software supports exchange server version 2016, 2013, 2010, 2007 for migration to Outlook PST. I have download demo version of exchange export software. Is there any limitation associated with demo version of software? Yes, With demo version of software, you are only able to export 25 mailbox to Outlook PST. For bulk exportation you need to purchase full version of exchange import tool. The feature which I liked the best in Exchange Export was permanent deletion of mails. The software enabled me to convert exchange mailbox to PST file as well as freed my Exchange mailbox by deleting the mails that I had exported. I am really satisfied with its functioning.